Two men have been arrested by police investigating the murder of Jim Donegan, shot dead as he sat in his £80,000 (€89.7k) sports car outside his son’s west Belfast school. He was wearing a hip length high-visibility yellow jacket with 'Security' written on it. "Our primary concern at that stage was that they wouldn’t see what we had to see," Fiona Crookes said. "He’d only just left," one eyewitness said. "The next thing he ran back up the lane screaming — he was terrified." 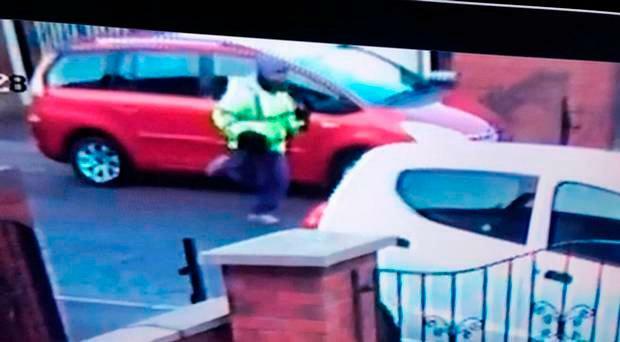 A police spokesperson said that Mr Donegan’s teenage son was spared from seeing the shooting being carried out by just a few seconds. Mrs Crookes said that the young boy became "our priority" immediately afterwards. It is understood he was offered counselling once he was taken inside by staff. "It was very scary, more so for him. He is still freaking out about if he is still going to be there tomorrow," she said. "He has been asking me if they will all be away when he is going to school." Detective Chief Inspector Pete Montgomery said he is thankful that he is not investigating "multiple murders, including the murder of children" and praised teachers for their swift response. "It is utter madness, as any one of these bullets could have ricocheted, and having been at the scene I cannot emphasise enough that it is sheer luck I am not investigating multiple fatalities," he said.